Found 6 file extension associations related to LoiLoScope and 1 file format developed specifically for use with LoiLoScope. 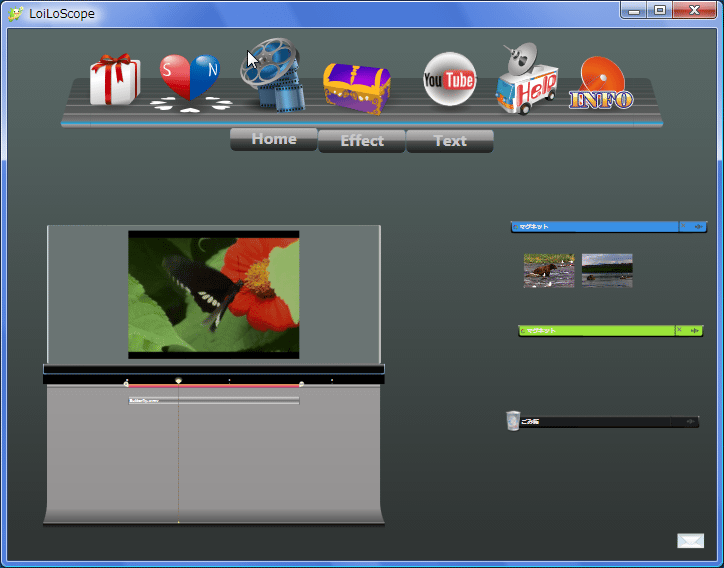 With LoiLoScope you can edit almost all video and image formats taken with your cameras and mobile phones. You can also output to various files including MP4, AVI, MPEG2, and WMV, as well as create DVD and Blu-ray disks. Make video editing fun for everyone! If you need more information please contact the developers of LoiLoScope (LoiLo), or check out their product website.